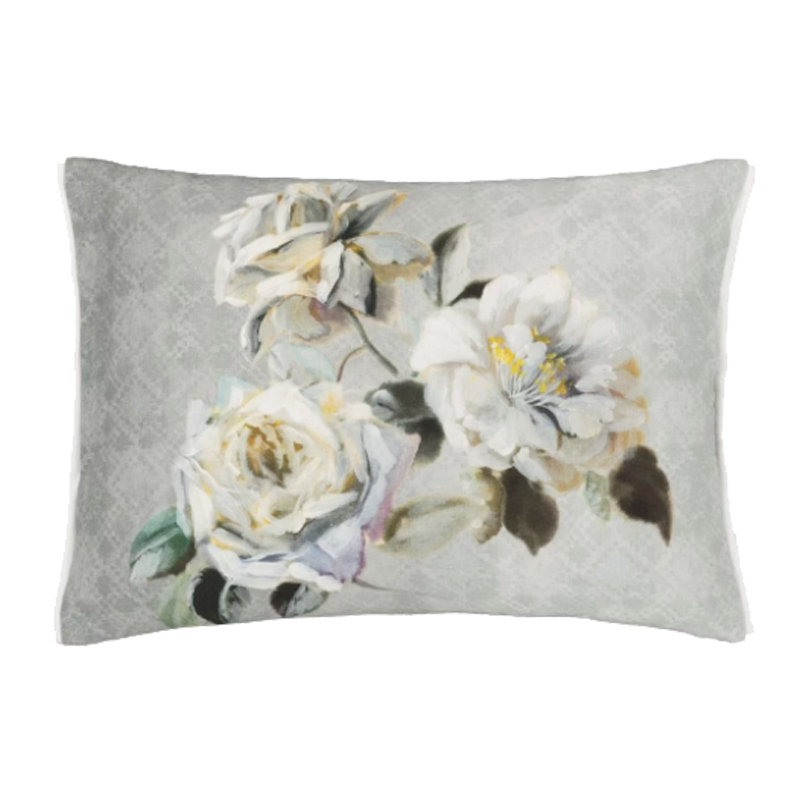 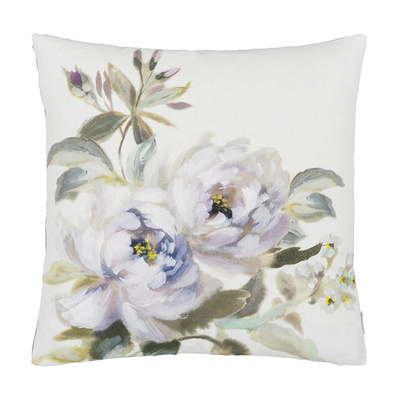 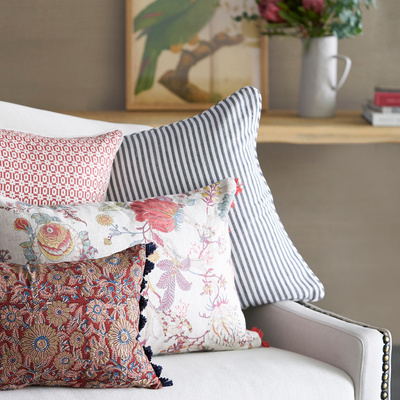 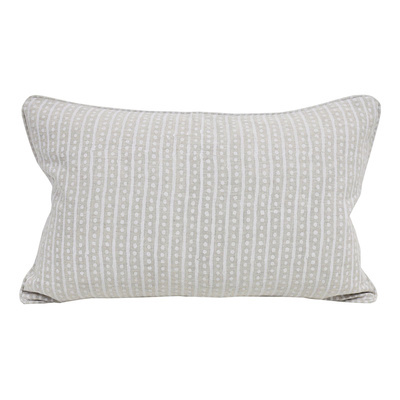 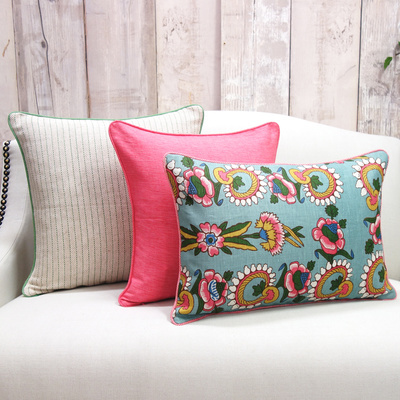 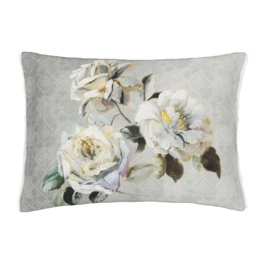 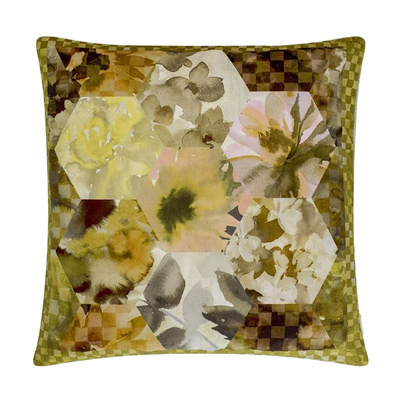 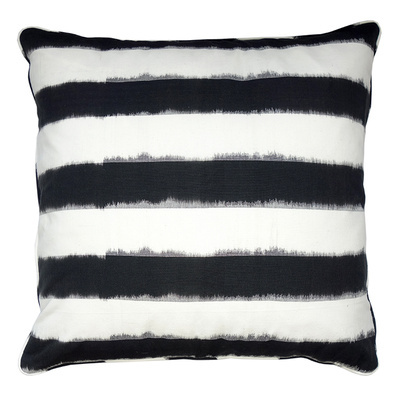 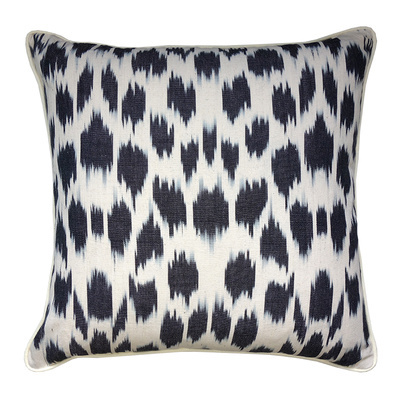 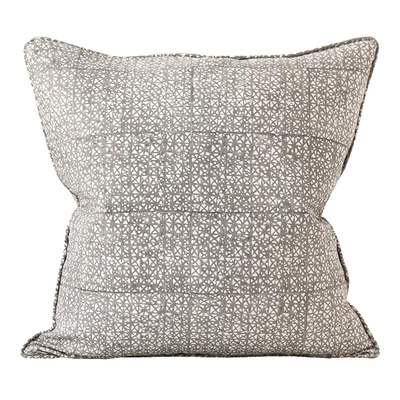 A graphic stamped geometric combined with painterly roses create this stylish contemporary floral cushion. 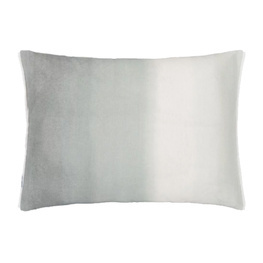 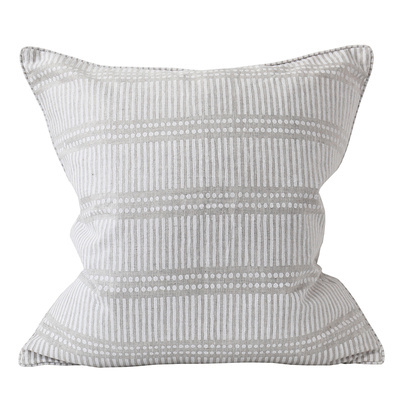 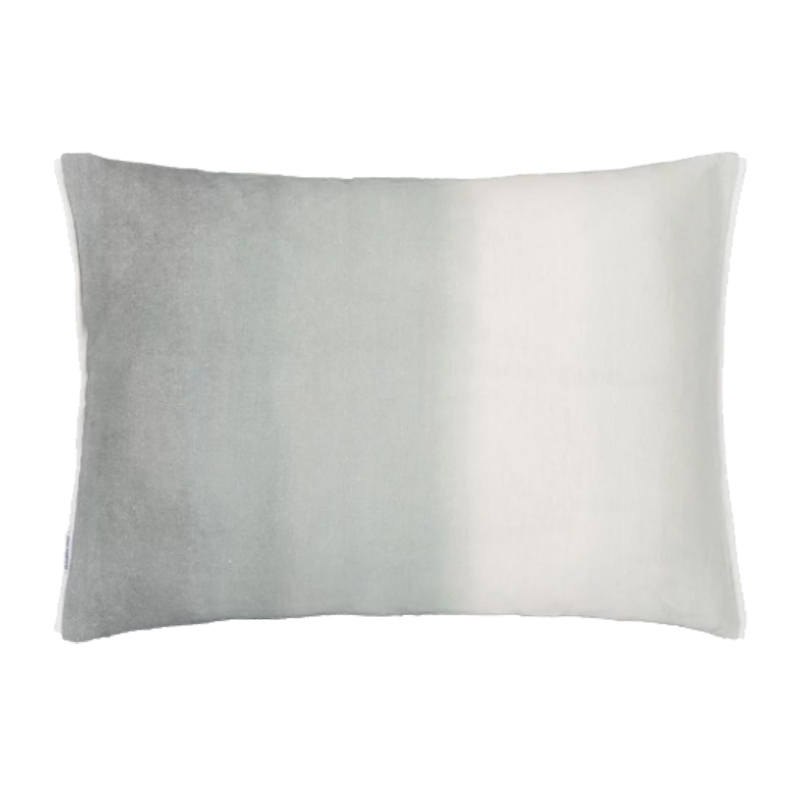 Digitally printed onto soft tumbled linen in soft chalky grey tones with a soft tonal grey ombre‚ stripe reverse. 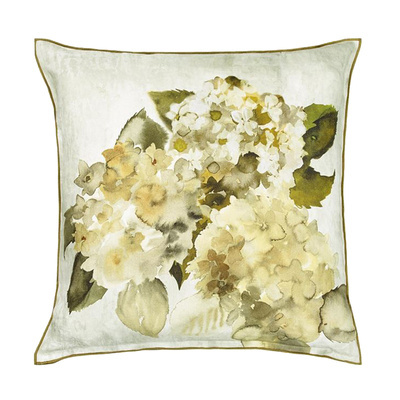 Completed with a trim detail on two sides in Mirissa alabaster.